"My name is Simon, I like blue and white, stripes, the sun, fruits, circles, life, poetry, Marseille and the 1980s." "Marseille je t'aime" is more than a traditional fashion exhibition as the artist will not only showcase his collection “Les Santons de Marseille”, but also photos, videos, sculptures and his new book. The idea is to show his work from various perspectives. So for the first time, Jacquemus got off the beaten track and produced other forms of art. 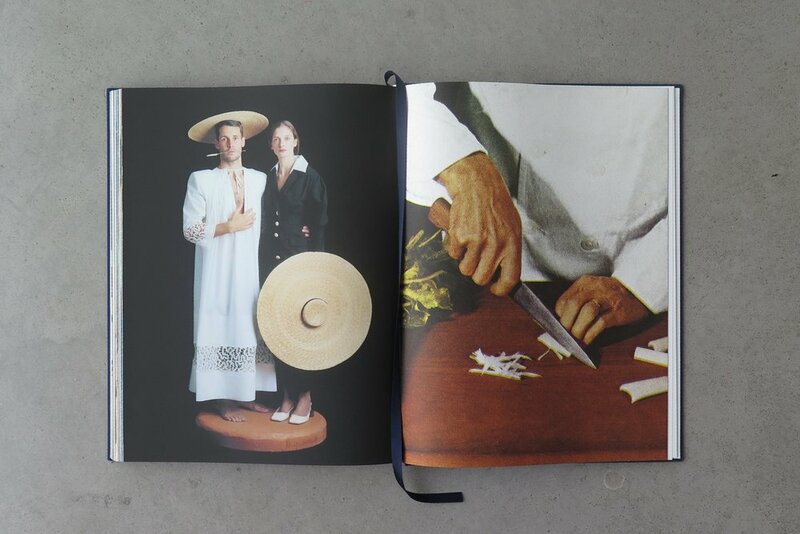 The book features poetic images created by French and international photographers, painters and contemporary artists. For the fashion show, models walked on the MuCEM bridge wearing "Les Santons de Marseille," a collection inspired by the famous figurines, echoing Jacquemus' love for the provencale culture. The video, for which the book is an accompaniment, shows personal and inspirational images. It will play from 13th May to 31st July. For the sculptures, the artist played with the structure of circles and squares, which is a characteristic of his label. "Marseille je t'aime" is an assemblage of creations forming an ode to the designer's beloved city.